Can’t find your game? Choose “Add this game anyway” at the bottom. Barcode Queue and Search Results are now integrated into one list. 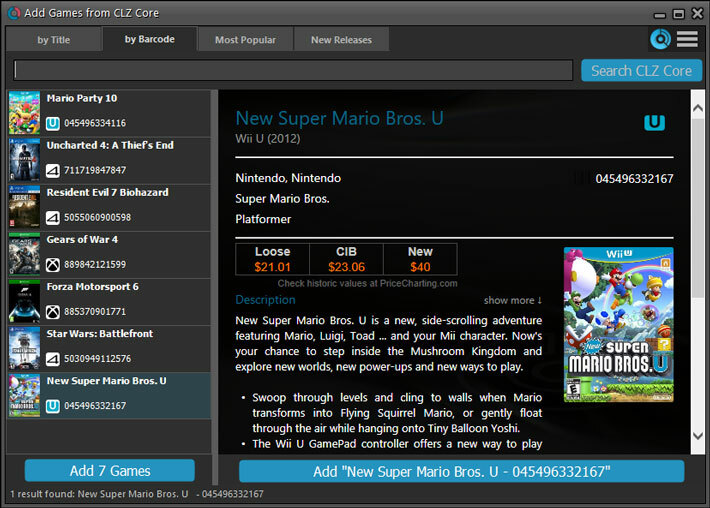 Scan or type a barcode and press “Search CLZ Core” to add it to your queue and instantly search it. Barcodes added to the queue instantly show title, platform, barcode and a cover image. Use “Add [x] games” on the bottom left to add all games. Use “Add [game title]” on the bottom right to add the selected game only. 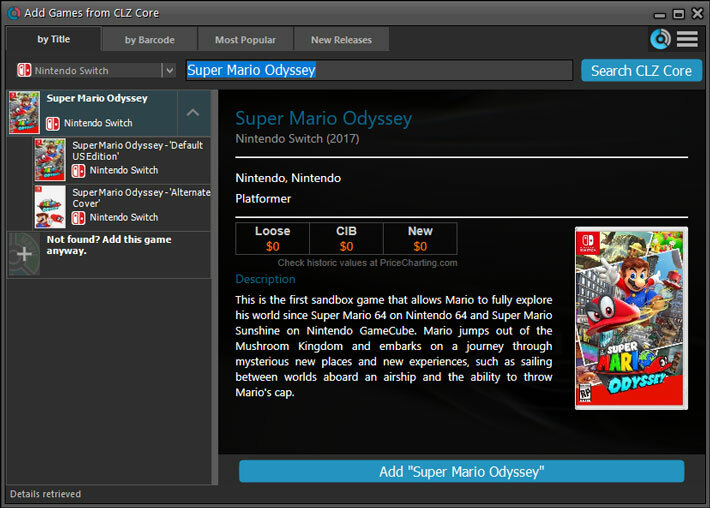 TIP: you can disable this using the “Adding to Collection/Wish List” option in “Tools > Options > Add/Update Games from CLZ Core”.